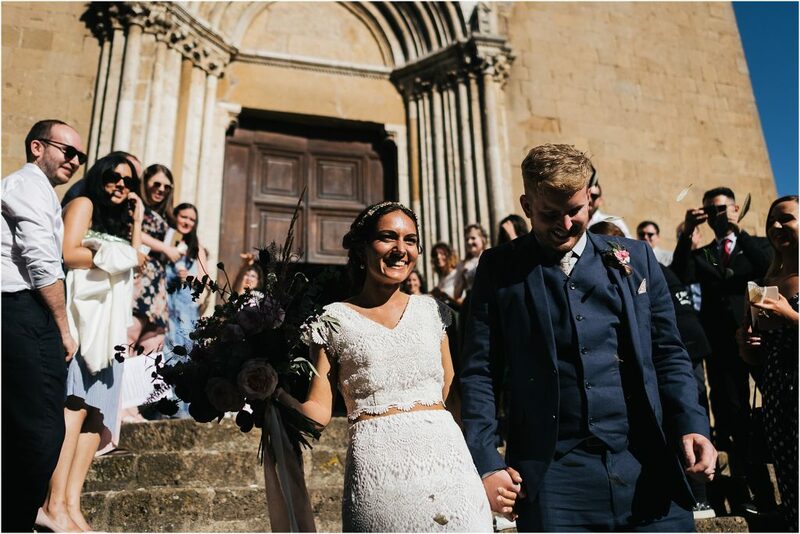 I was really happy to have been chosen as a wedding photographer in Monticchiello in Val d’Orcia by a beautiful couple who decided to crown their dream in one of the places in Tuscany that I love most. 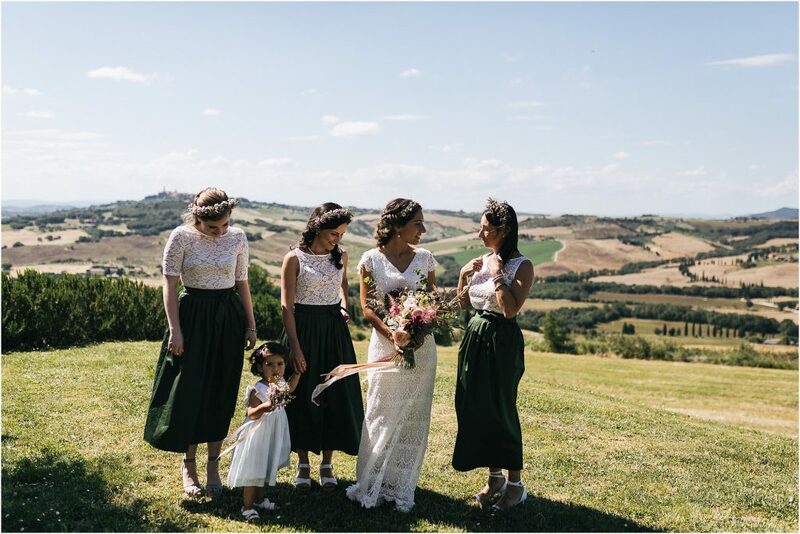 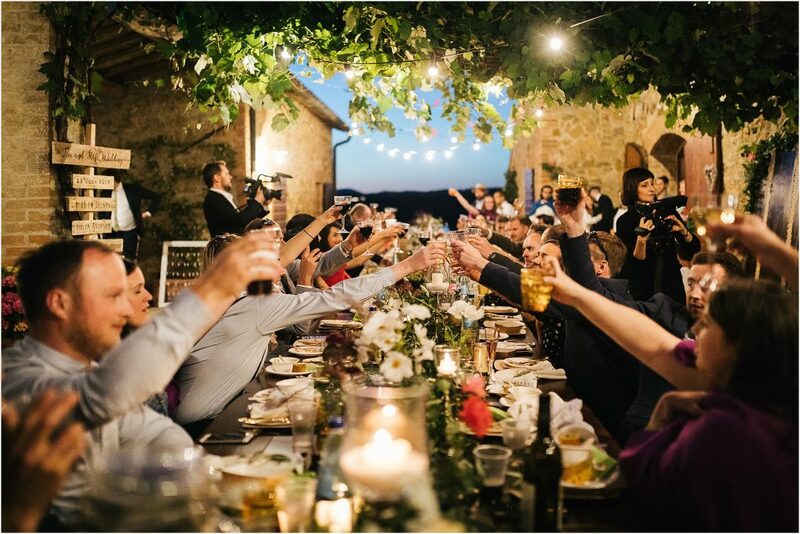 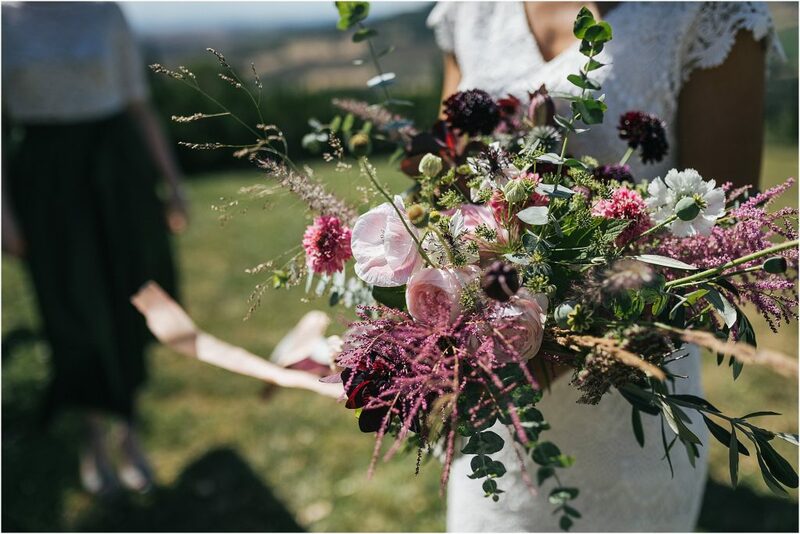 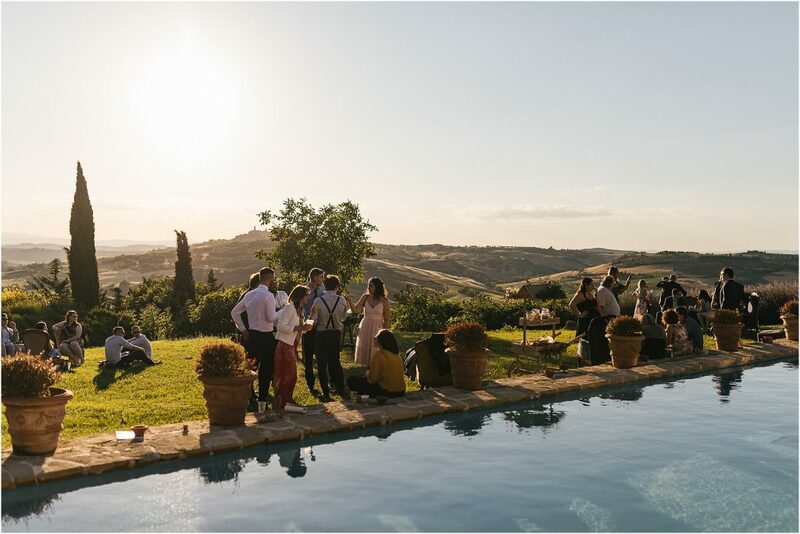 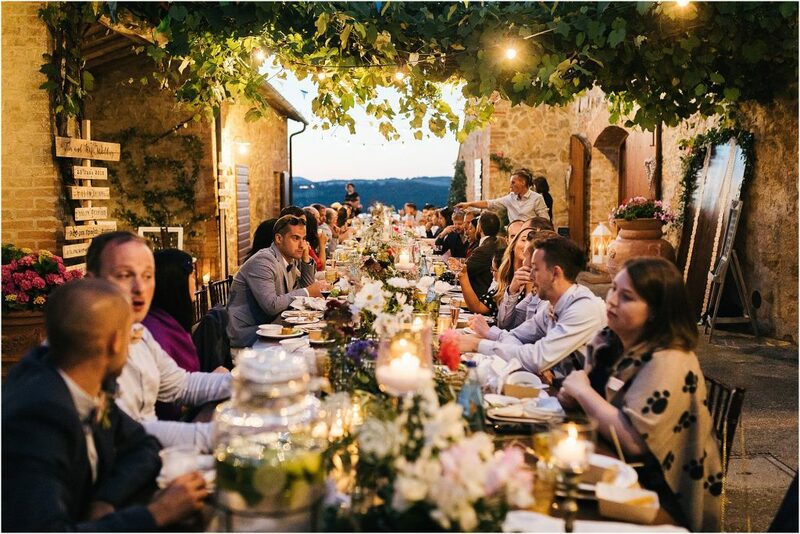 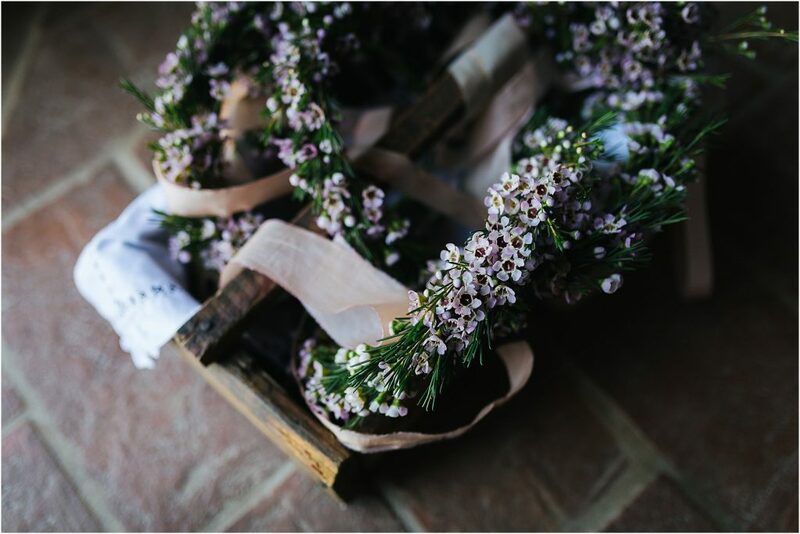 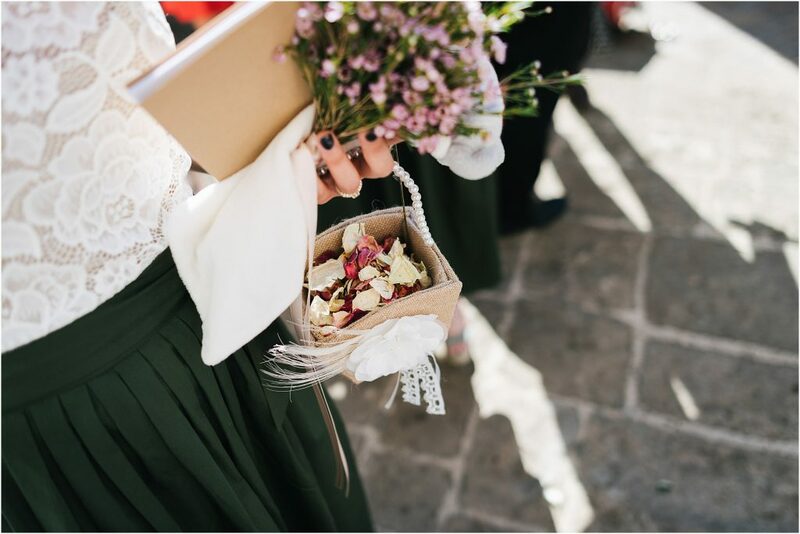 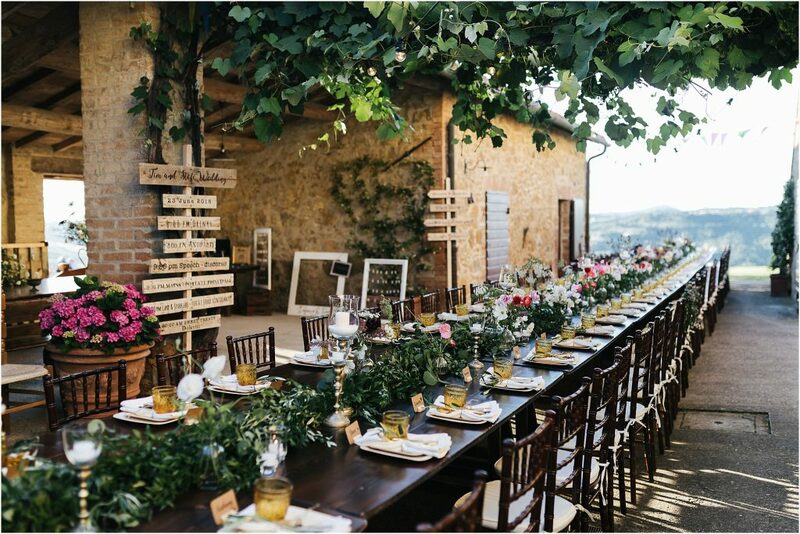 I believe that getting married in Val d’Orcia is a common desire for all those who love nature and appreciate breathtaking landscapes like the setting for this vintage-style wedding celebrated around the medieval village of Monticchiello a few minutes from Pienza. 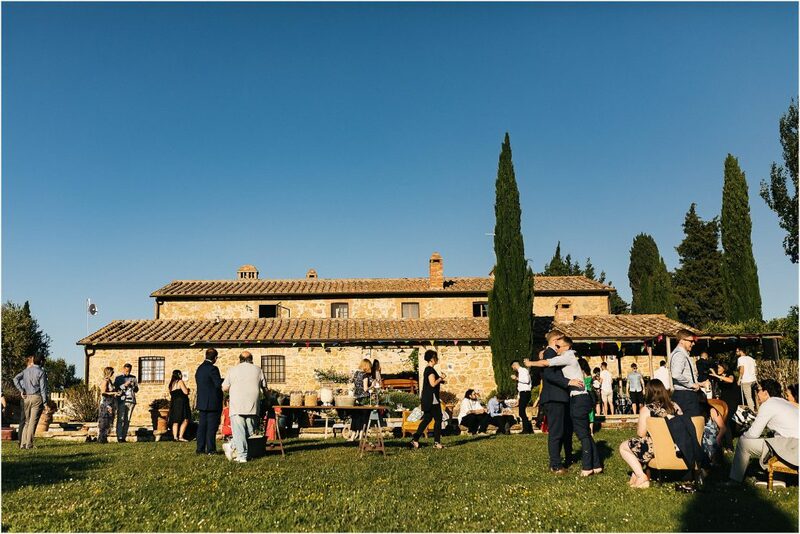 The Val d’Orcia is a beautiful valley crossed by the river Orcia located in the province of Siena, north-east of Mount Amiata and close to the border with Umbria. 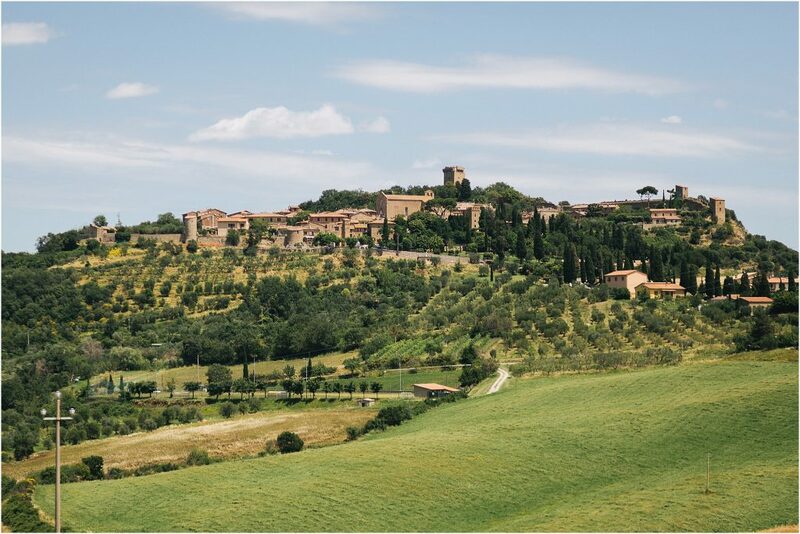 It is characterized by beautiful landscapes and several medieval villages, among the most famous we find Pienza, the homeland of the excellent pecorino that takes the name of the town, and Montalcino, known above all for its excellent red wine Brunello di Montalcino. 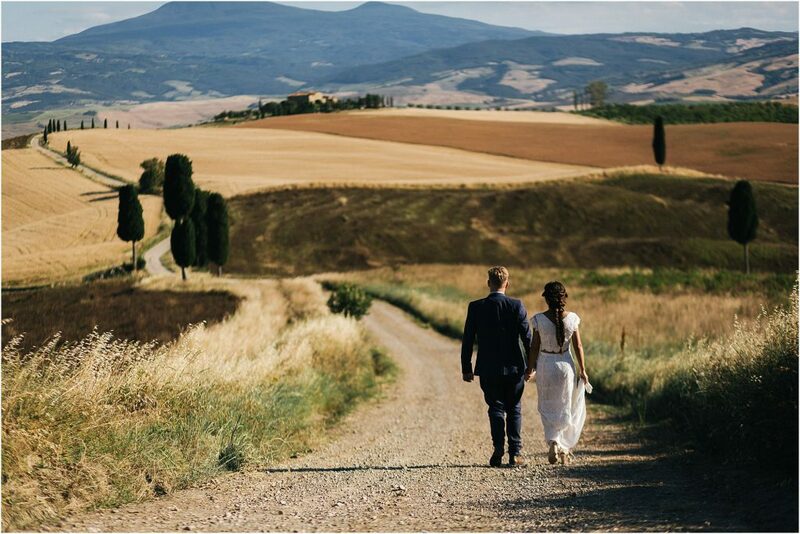 There are several foreigners who decide to celebrate their wedding in Val d’Orcia, fascinated by the landscape that changes colors according to the seasons of the year: from the intense green of the fields and cypresses in spring, to the golden yellow of wheat in summer and the warm and amber colors of autumn. 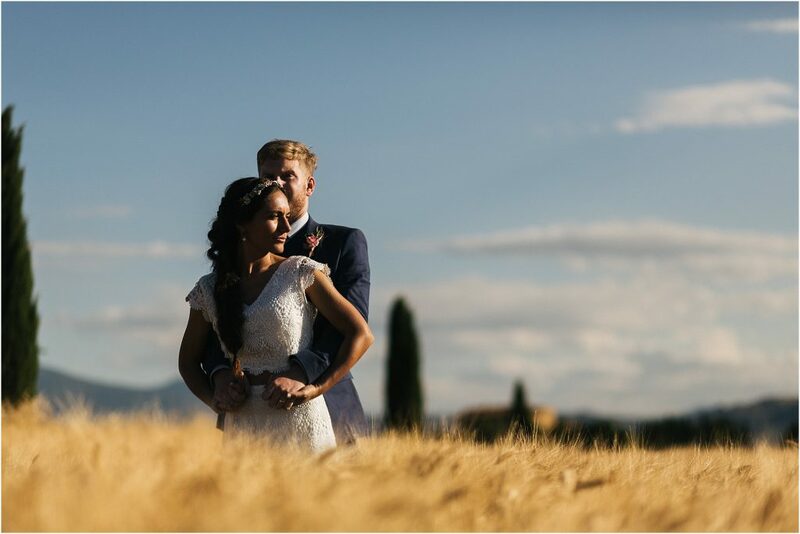 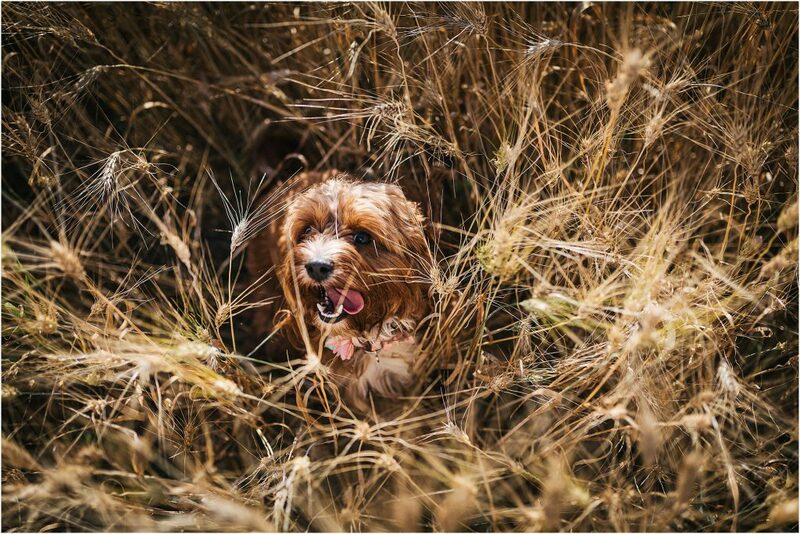 I was really lucky to be able to enjoy all this spectacle of nature as a wedding photographer in Monticchiello in Val d’Orcia, in a period of the year when the wheat fields are undisputed protagonists of the territory and undoubtedly the ideal setting for taking beautiful wedding photographs. 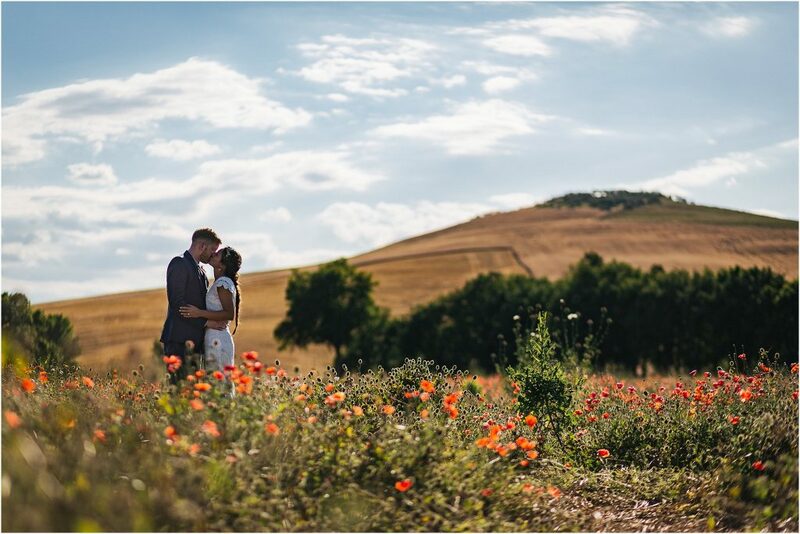 In fact, Stefania and Tim have chosen Terrapille as the setting for their wedding photography service in Val d’Orcia, near Pienza. 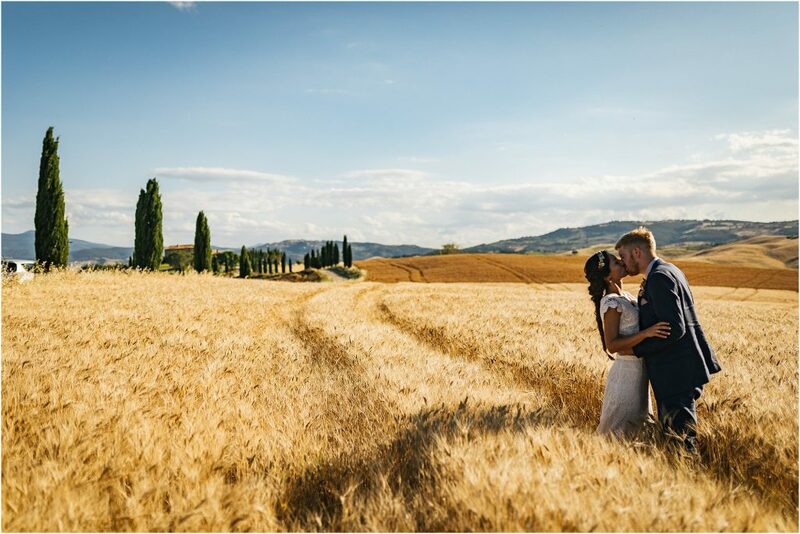 A very suggestive place, famous for being the setting for a scene from the movie “The Gladiator of Ridley Scott”, when the protagonist enters the Elysian Fields walking immersed in the ears of wheat to rejoin the family that awaits him at the bottom of the slope. 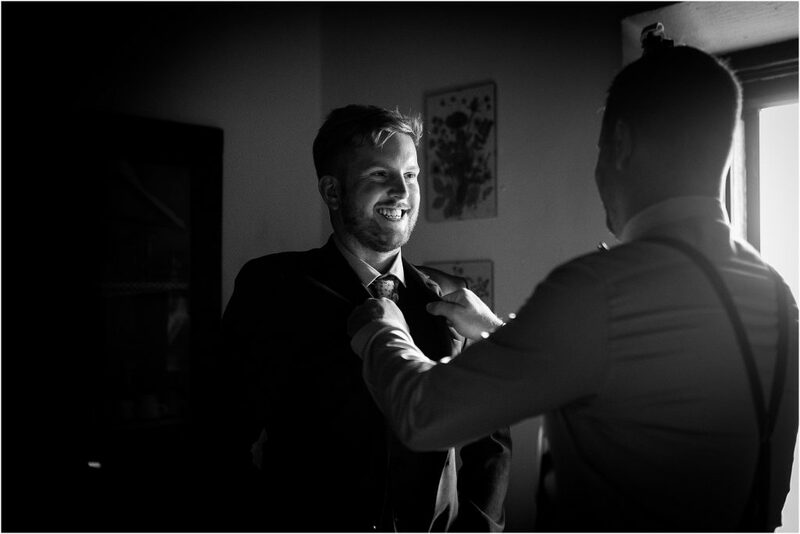 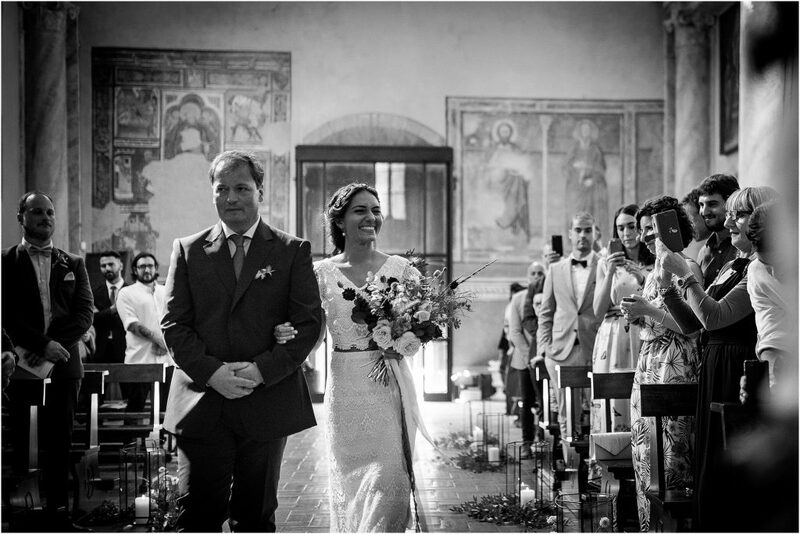 Stefania and Tim’s wedding in Monticchiello in Val d’Orcia was one of the most particular and well-organized that I had the pleasure of photographing. 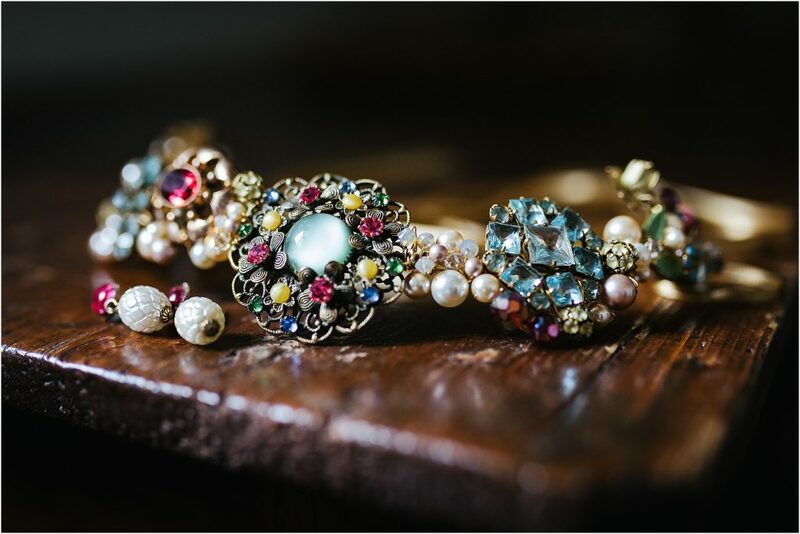 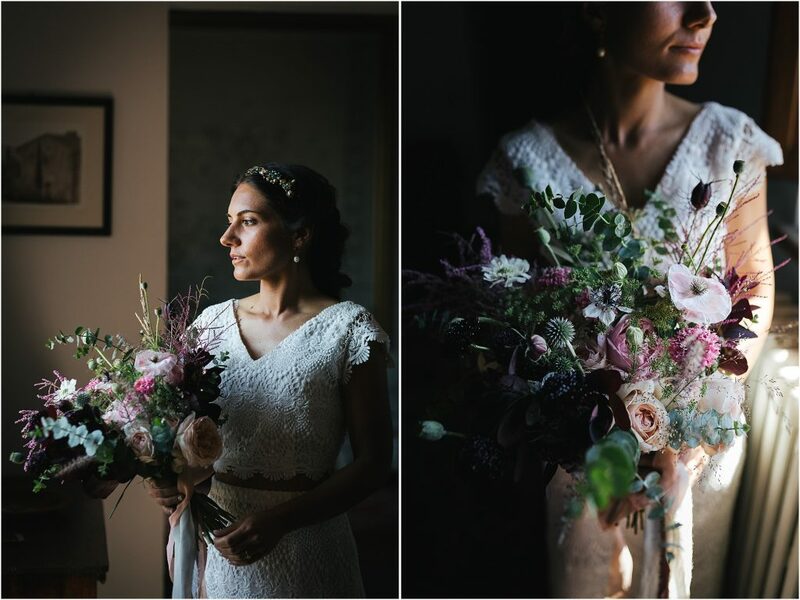 The bride, while living in London, managed to perfectly organize a vintage style wedding just she had dreamed. 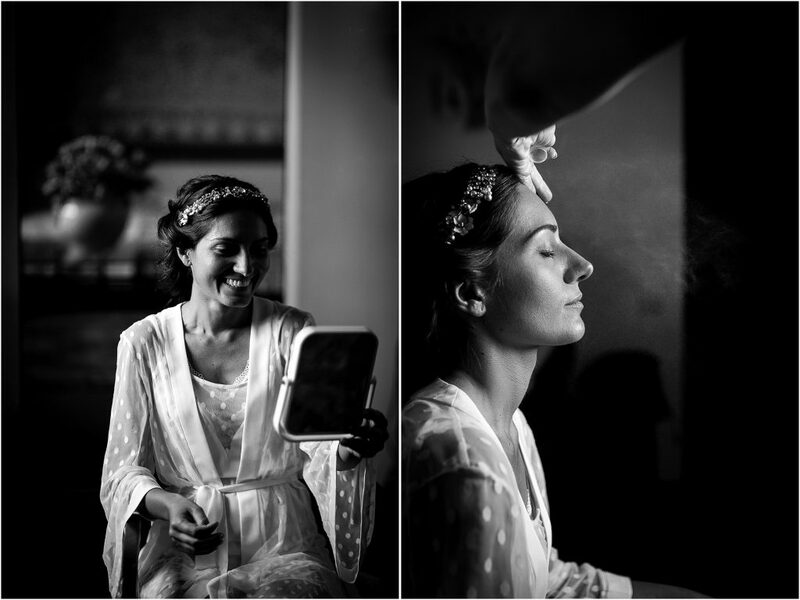 She took care of every detail: from the splendid location of Villa Apparita, a typical Tuscan farm with a breathtaking view overlooking the hill between Monticchiello and Pienza; the beautiful wildflowers used for the bouquet, the brides of the bridesmaids, the table center and the decorations of the Church; from the characteristic and unique dinner organized with the vegan truck food that have delighted the palates with excellent and special dishes, to the diadem in vintage style, made by hand assembling antique jewelry. 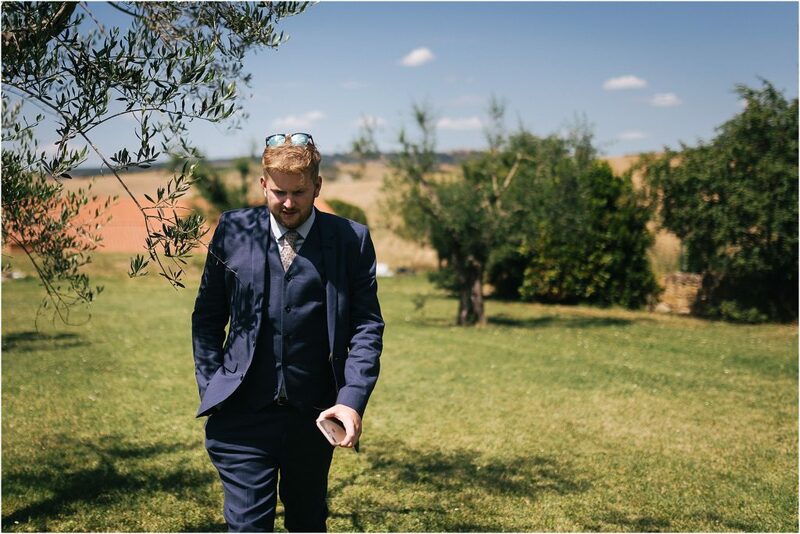 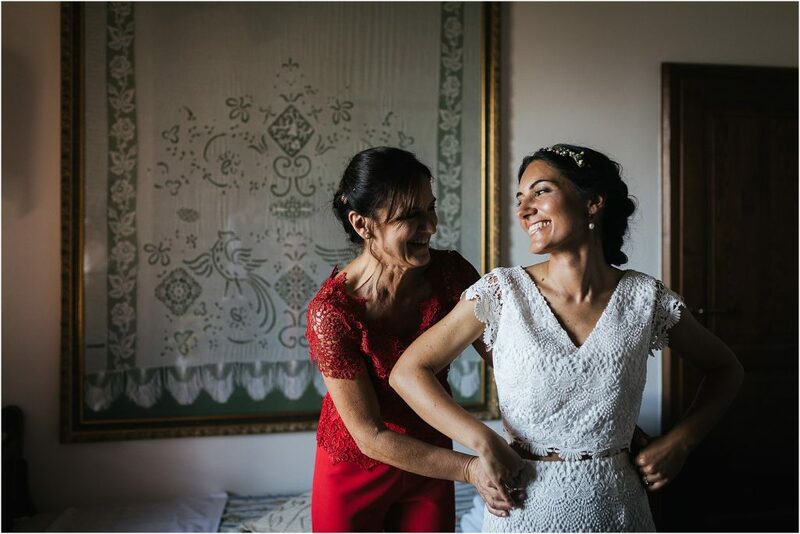 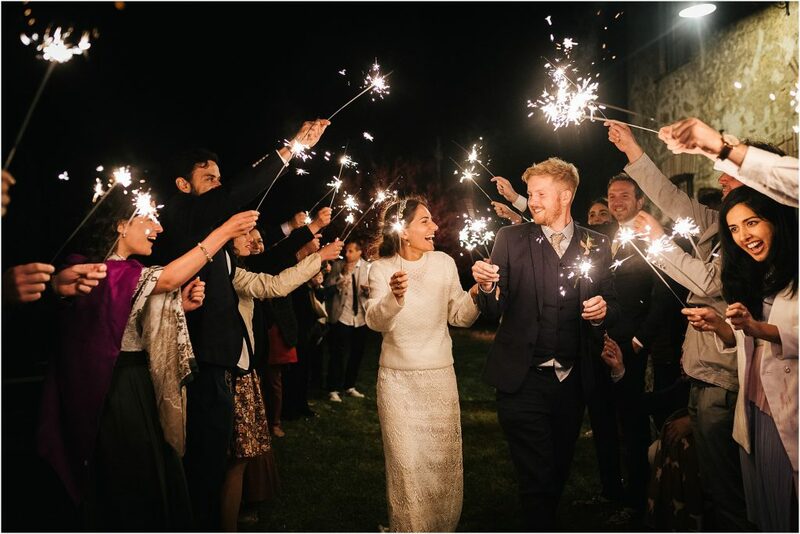 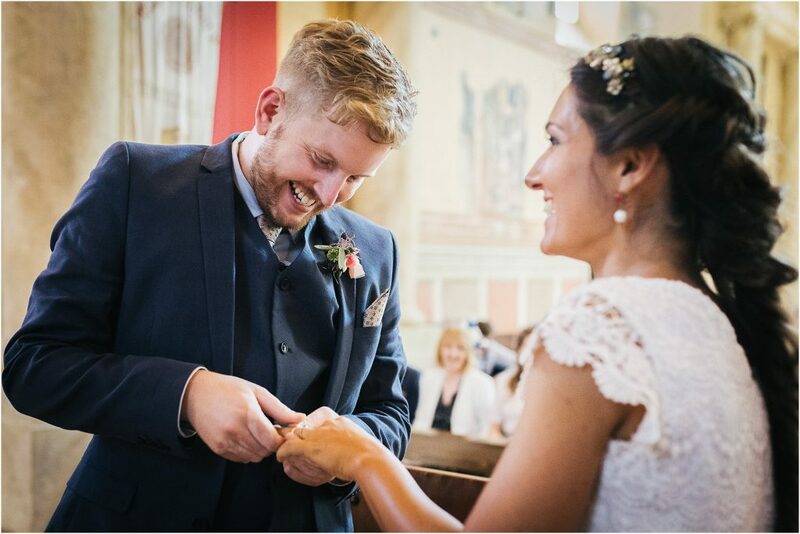 I could go on with the list but I let you discover everything else by looking at the wedding photographs in Monticchiello in Val d’Orcia. 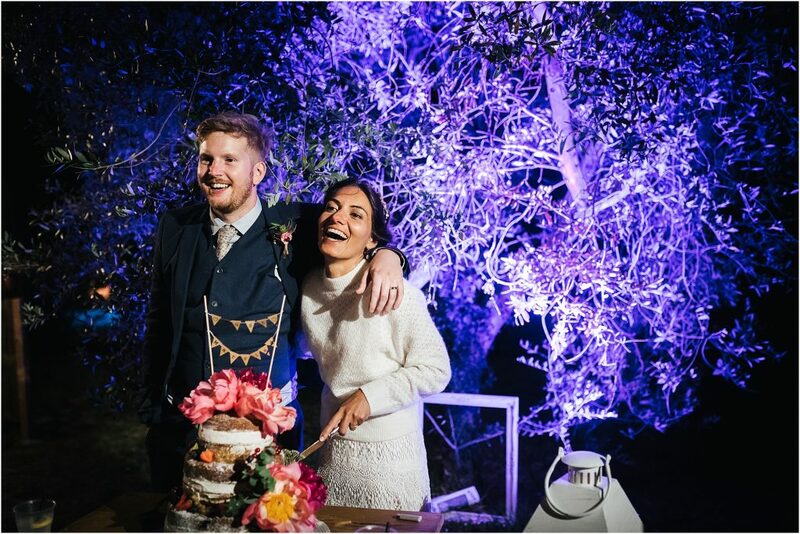 A special thanks also to the talented Olga, wedding planner of Each Other Weddings and Events that helped the couple to coordinate and organize an unprecedented event, cured in every detail in perfect vintage style. 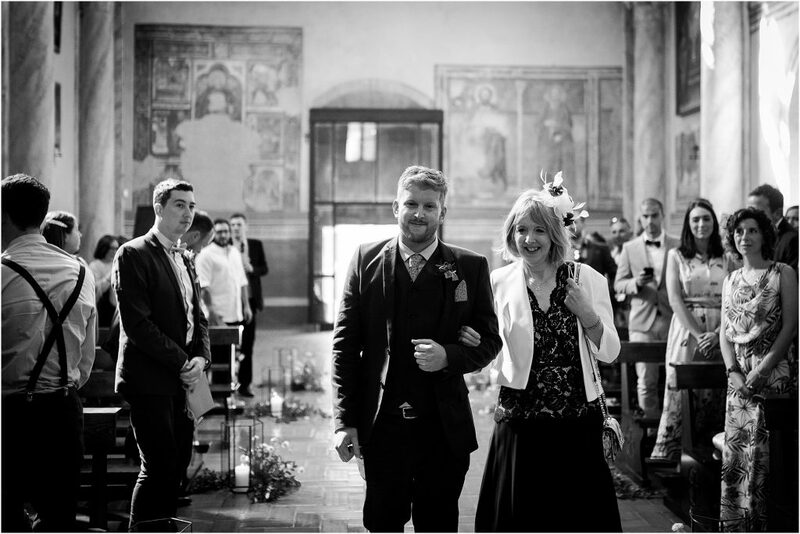 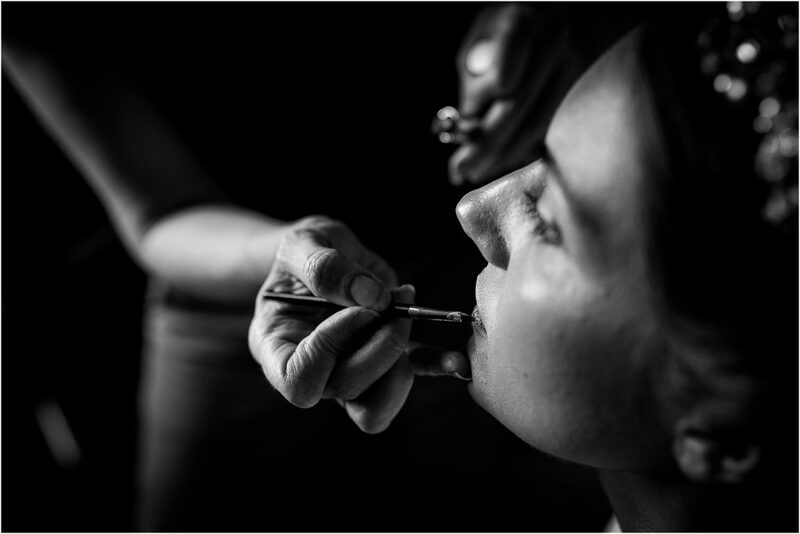 It was a real pleasure to work with her as a wedding photographer in Monticchiello in Val d’Orcia. 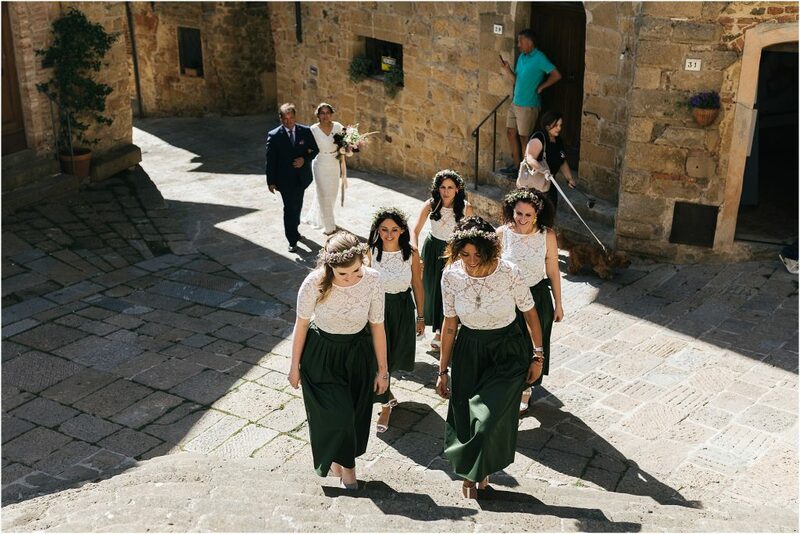 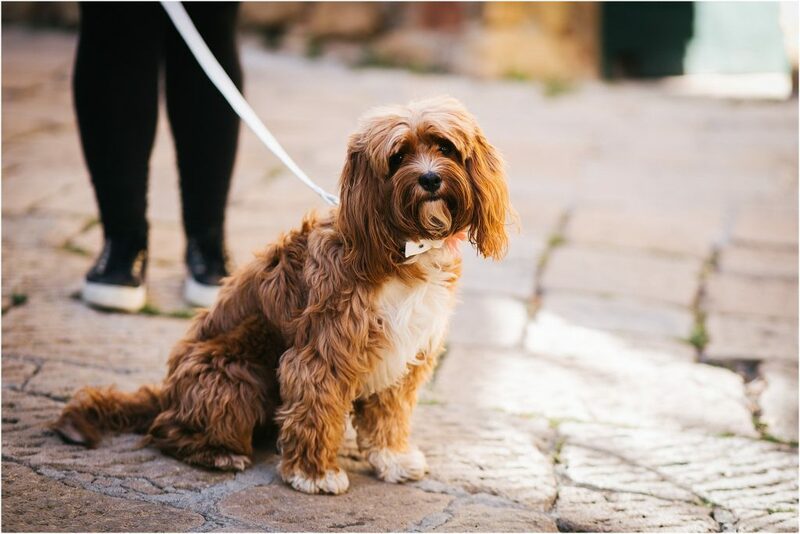 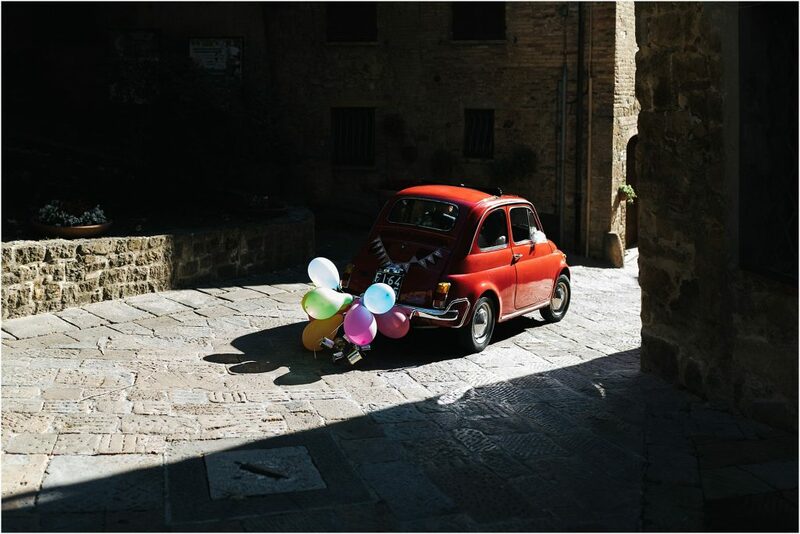 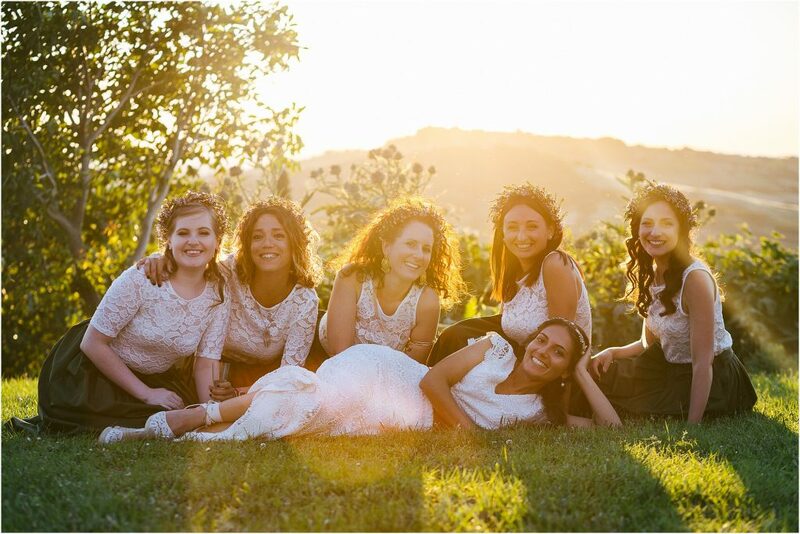 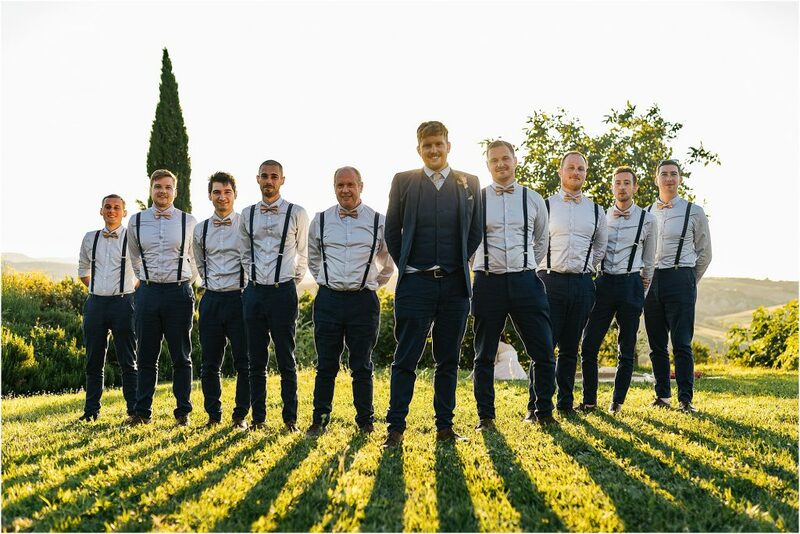 Would you like to see all the photos of the wedding’s photo shoot in Monticchiello in Val d’Orcia?